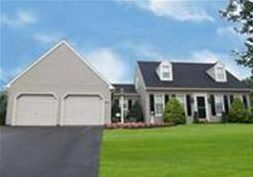 We are offering new Construction townhouses in Dover PA York County. Prices start in the 130’s but currently the builder is offering a 10,000 incentive! Models have 3 bedroom and 2.5 baths with garages. Very convenient locations near schools, shopping, and recreation areas. Take advantage of these prices and incentives now while interest rates are at all time lows. Special financing is available to those who qualify. Contact Pilgrim Team with any questions, or for more information.